Beyoncé basically broke Instagram when she announced that she was pregnant with twins, sharing a photo of her baby bump against a backdrop of blue skies and flowers. But if you thought couldn't get anymore luxurious than that, think again, because someone decided to recreate the scene with a 40-kilogram hunk of cheese. 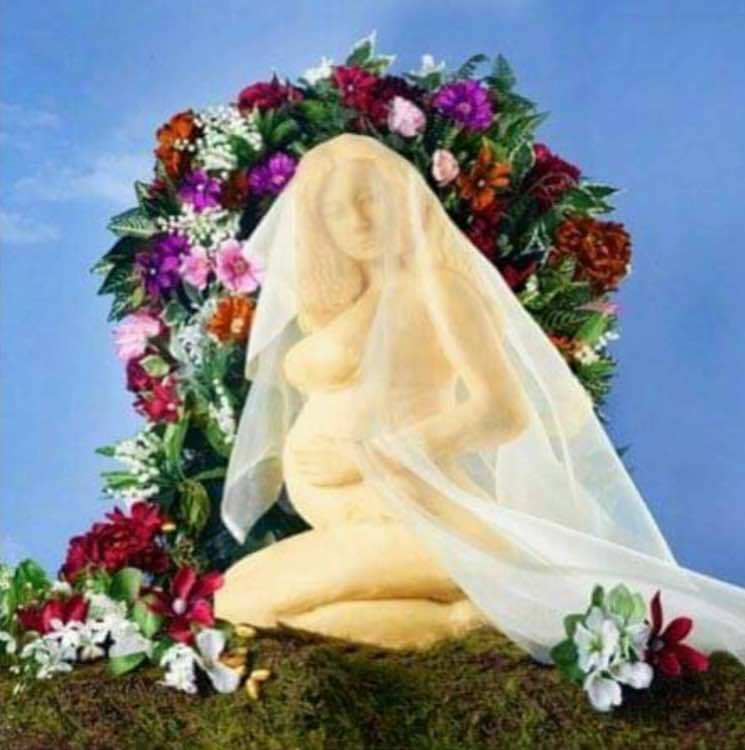 UK food artist Jacqui Kelly and her assistant David Bradley created the dairy-based work for the E20 Cheese & Wine Collective and Robin Collective in London last weekend, spending 36 hours moulding 40 kilograms of cheese into an effigy of Queen Bey and her unborn children. The results are rather magnificent, and you can photos of the final sculpture down below. Brieoncé in the flesh. Or should I say cheese. It's been affectionately dubbed "Brie-oncé," who is presumably the velveeta-y voiced singer behind hits like "Kraft Single Ladies."